Boston College is not only a well esteemed academic institute but it is also well know for it’s athletic programs. The BC Eagles have a huge following and fans travel from all over to spectate. 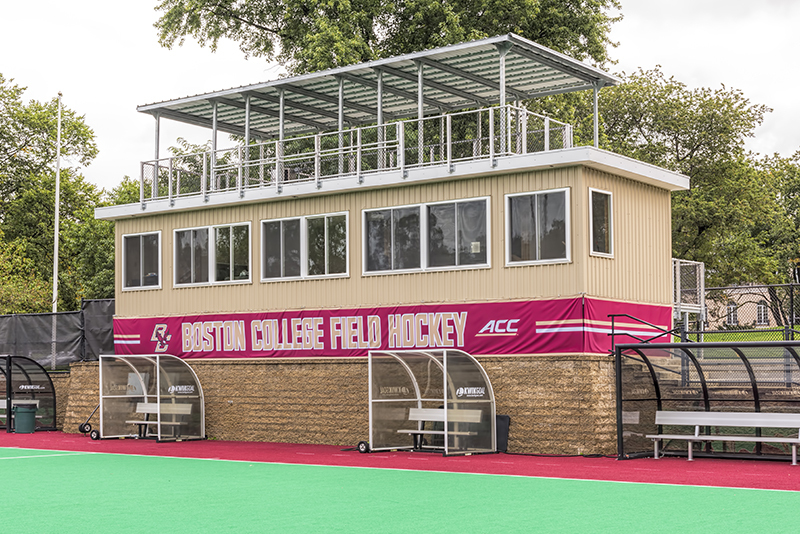 ESPN wanted to expand their coverage of BC sports but needed certain infrastructure in place to successfully capture and broadcast the games. 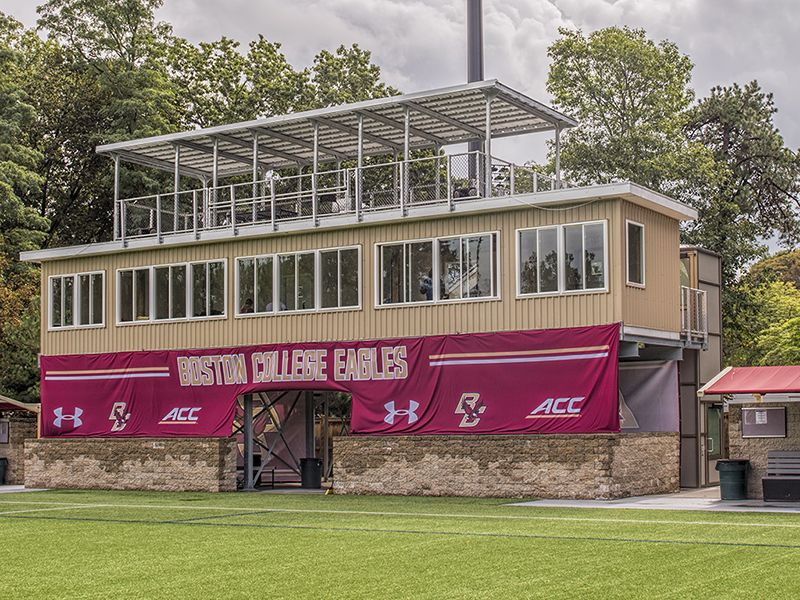 Upgrades and renovations were made to BC’s athletic facilities to enable them to be used for ACC live broadcasting. These renovations included the conversion of function space into new offices and the addition of a new media and press room. Wise installed new sports lighting and a steel cat walk for filming and media coverage within the existing Power Gym. 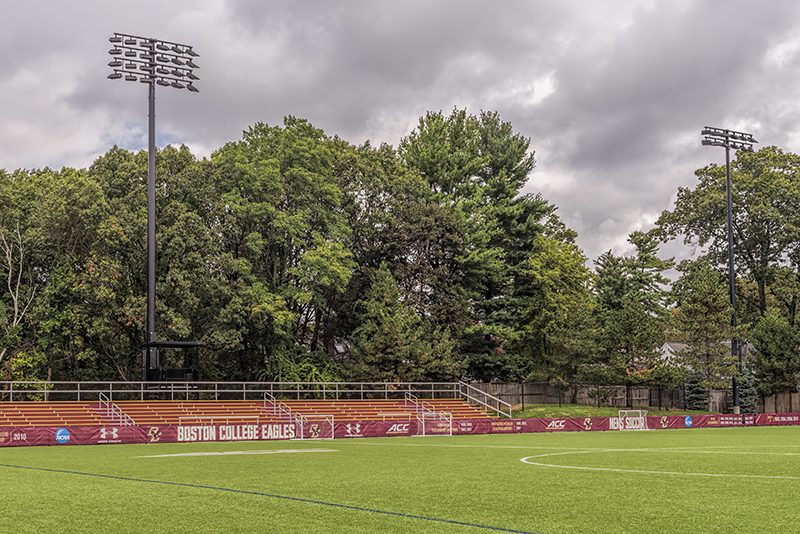 On the Newton campus Wise replaced and upgraded 8 of the sports lights. 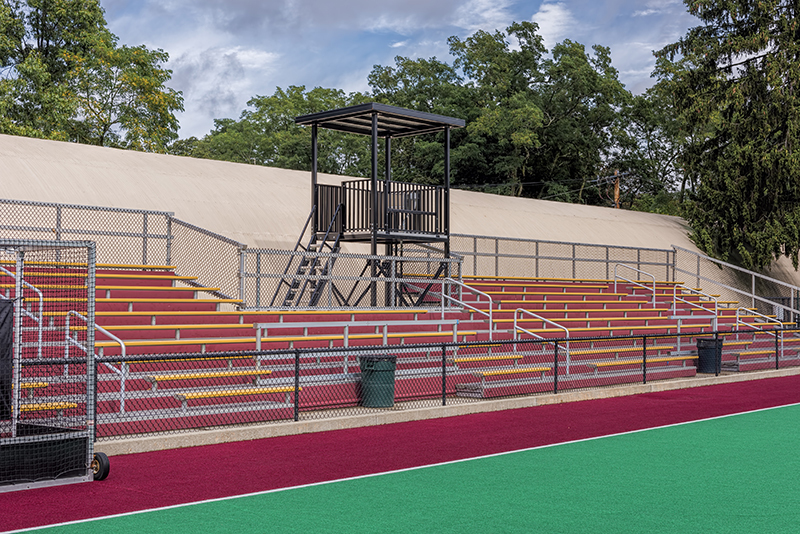 In addition to that, Wise built two new press boxes which required extensive site work with trenching for underground wires as well as structural steel and concrete work. 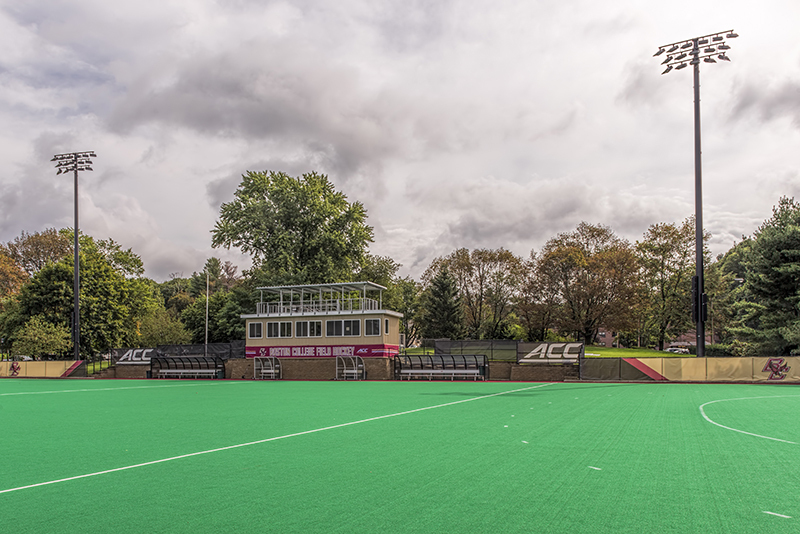 The fields remained open throughout the project which required planning with the athletics department to work around teams practice schedules. The fields abutted a residential neighborhood which required coordination to minimize disruption to the residences. This project ran on a tight timeline over the summer months.